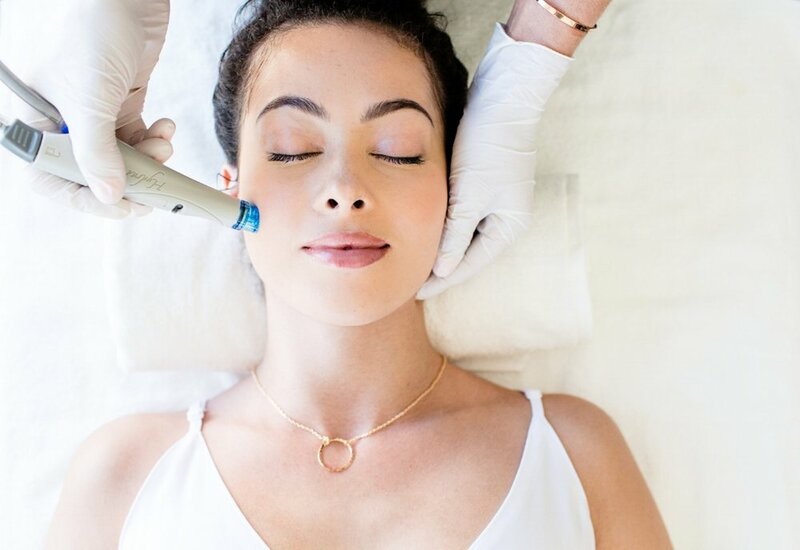 The Hydrafacial is so much more than a facial. It is a very relaxing, invigorating treatment that is done in 30 minutes. It offers instant, noticeable results with no downtime or irritation. Over time, long-term skin health improves with a good routine and treatments. The Hydrafacial treatment cleanses the skin by extracting the impurities that form in the pores. At the same time, dead skin cells are removed and the skin is bathed with cleansing, hydrating, and moisturizing serums. Immediately patients notice an improved glow to the skin. There is no downtime with Hydrafacial, and the soothing treatment can be done the day of an event since there is no downtime. The Hydrafacial treatment is good for all skin types, and the cosmetic team at Village Dermatology can guide you to great home skincare that can be used to boost your results at home. Unlike with traditional facials, the improved texture and moisture of the skin can last up to 5 to 7 days. Since there are no quick fixes, for long-term results, once monthly treatments are recommended.